The fifth issue of Taking the Lane is in the works, and should be out in mid-December. You can pre-order it here. Writing submissions have been rolling in, ranging from a short, sweet, hilarious paragraph to a touching and fierce personal essay to pointed thoughts that I transcribed during a conversation with a friend too busy to write. 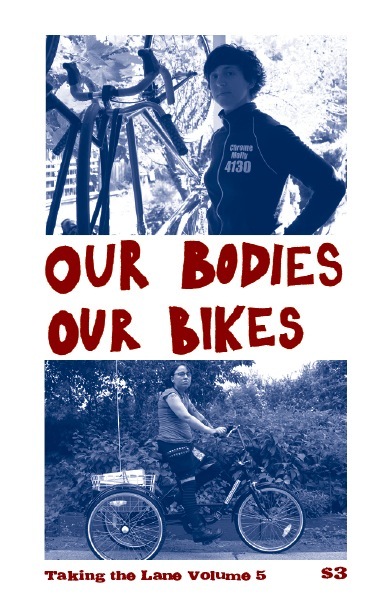 The deadline is November 1st, and I’m looking for more writing — if you’ve been thinking about anything having to do with bikes and bodies, I’d love to hear from you.